There's a clear winner in this week's LTPD, but not enough pictures of your mousepads! This week's topic was nice and simple, and directed at PC gamers. Next week's will be similar, but for you console folks (and maybe some PC as well). It turns out that two-thirds of readers prefer to use a soft-top/fabric mousepad in contrast to a hard-top or none at all. The poll may be set in stone, but I would like to extend the conversation a bit further in this glorious Labor Day weekend: which type of mouse surface works better for which games genres? A couple of you shared some pictures of your setups, so as promised, here they are! RockmanJay34 shared a very standard soft-top setup, which he said has served him well for many years. Rathorial's soft-top setup doesn't leave the keyboard out of the pad game! Shardik-the-man-bear said that he uses a card game playing mat for his TV PC setup, but didn't include a picture! Son, I am disappoint. Thanks for everyone who participated this week, and stay tuned for the next LTPD every Monday and Friday! If you have any suggestions for future LTPD topics, feel free to tweet them to me @thesmi1ey. This week's topic isn't going to require a bunch of reasoning for each side. It's quite a simple question: do you play PC games with or without a mouse pad? I realize that there can be outside factors that affect this decision, such as the kind of desk you play on or the kinds of games you play, but I'm still curious! While we're at it, why not take a picture of your current mouse and mousepad/no mousepad setup and share the link in the comments below? Unfortunately, you won't be able to post the picture directly, but you can still post a link after uploading to imgur, flickr or other photo services, Apparently image posting works again, so I will feature a few of the images in Friday's wrap-up post! 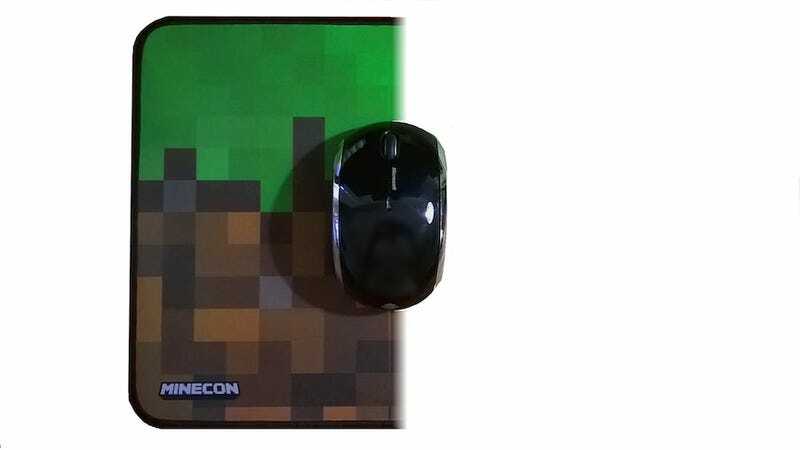 Vote in the poll and discuss and share you own mouse/mousepad setup in the comments!